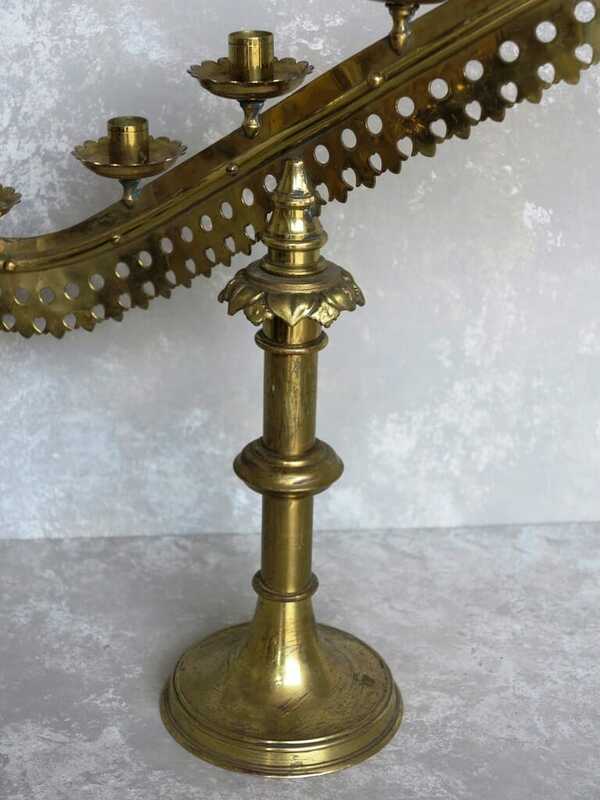 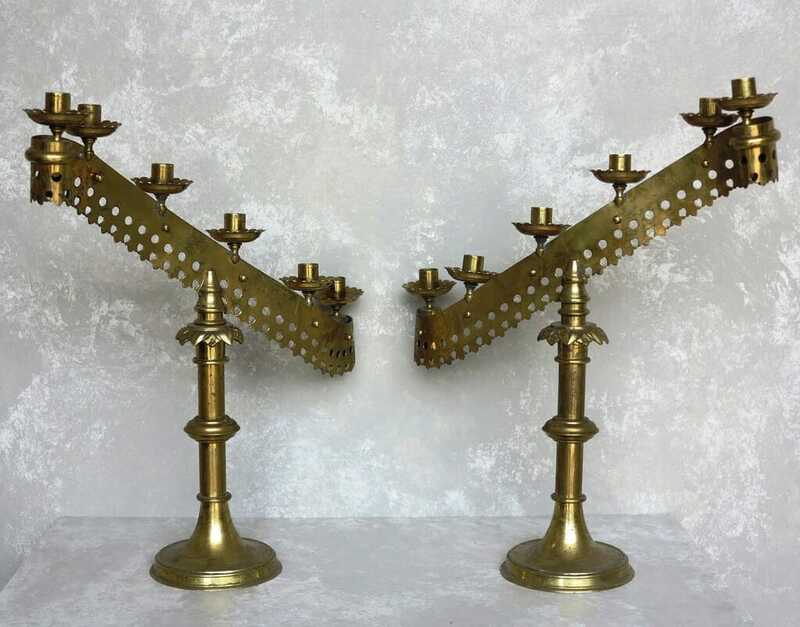 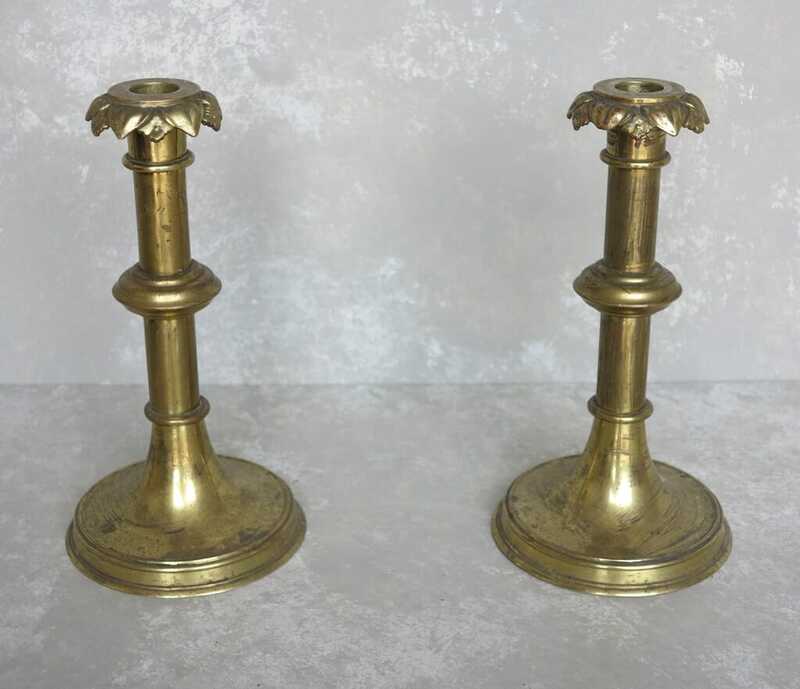 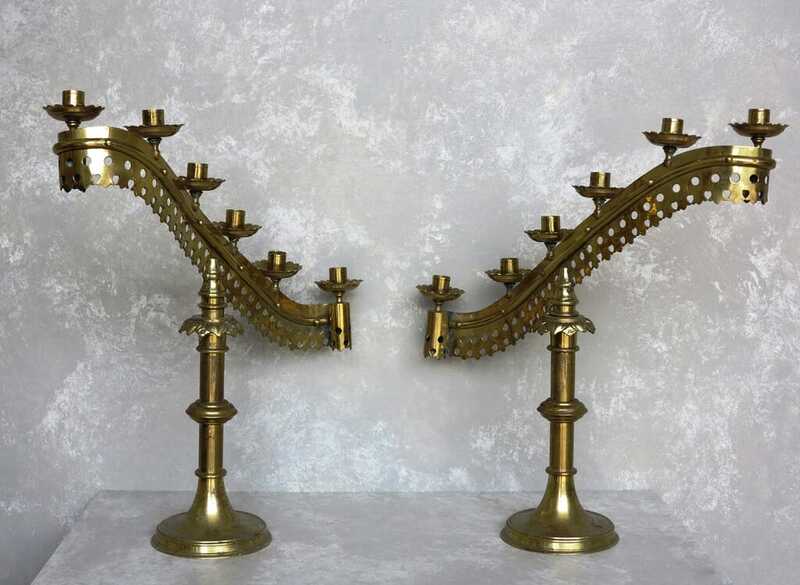 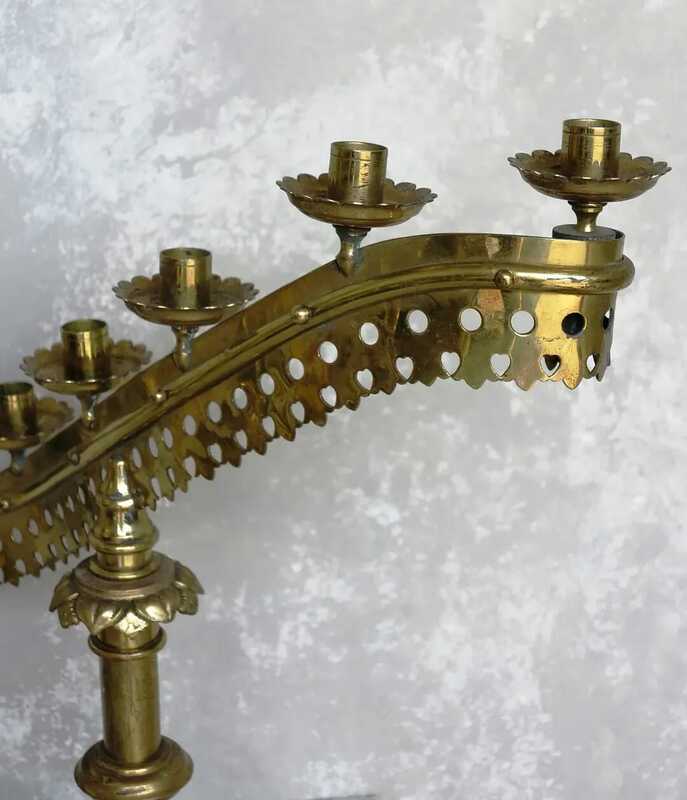 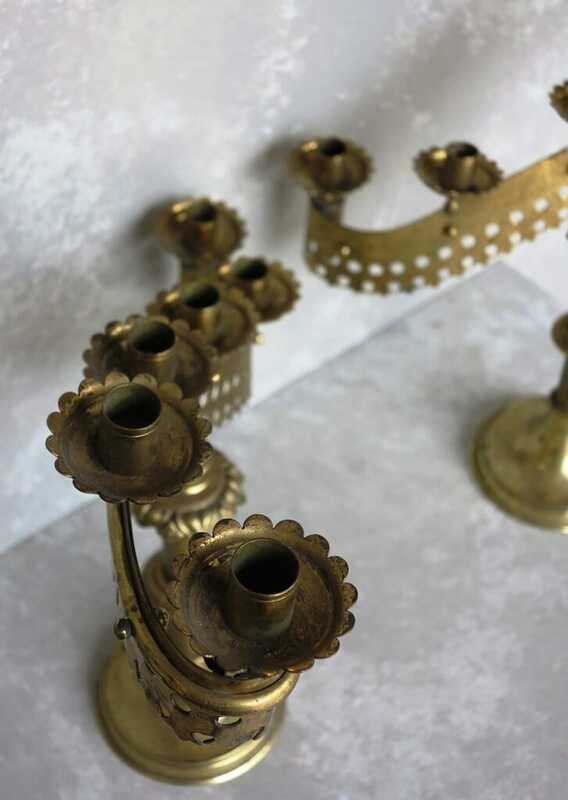 Very rare to find such a large true pair of brass candlesticks. 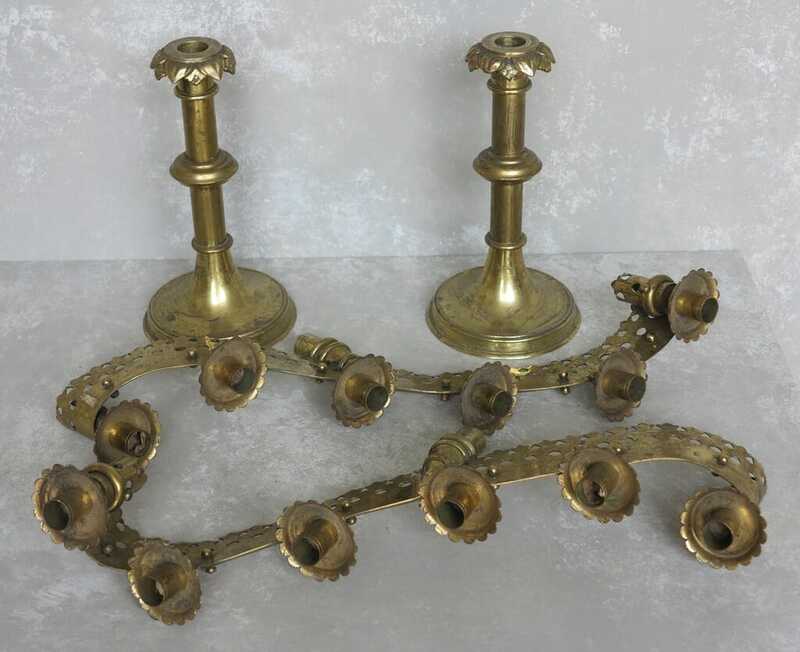 They can be turned into just single candlestick holders. 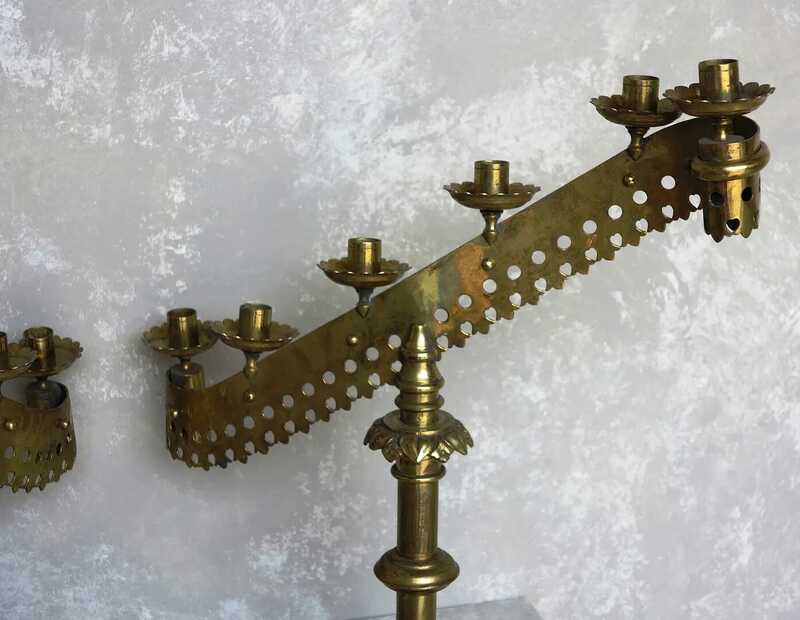 They measure: 22 ½" Tall (Max) x 22 ½" Long. 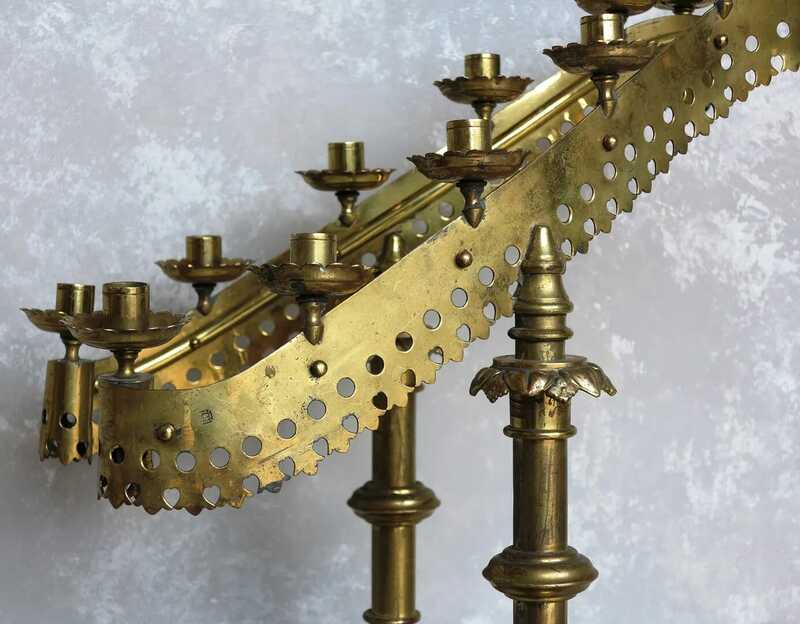 The hole for the candles is ⅞" (23mm).